A proposed rail line from Kano, Nigeria, to Maradi, Niger, is planned to cover 248 kilometers. The rail line, which will start from Kano, is to pass through Dambatta, Kazaure, Daura, Mashi, Katsina, Jibia and terminate in Maradi, Niger Republic. It will connect at least three states in the North, which are Jigawa, Kano and Katsina. It was also learnt that the rail line, when completed, would assist in the supply of crude oil from Niger Republic to the refinery being built in the border town between both countries. Details are still being worked out, but it sounds like a very positive development for the region. The International Robot Olympics is in less than one week! Never before have the world’s many nations come together for a competition of this nature, and this is a once in a lifetime opportunity to take part in history. 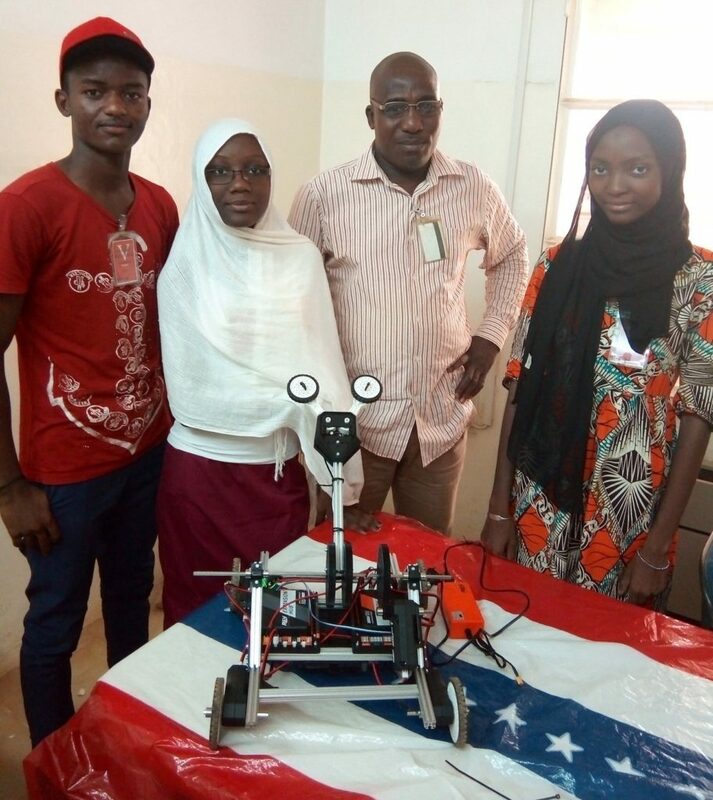 A team from Niger is competing, and nothing would be more meaningful to them than support from their brothers and sisters abroad. A loud chorus of cheers from the community would make their trip to America all the more worth it, and we hope you can help us provide that for them. The world’s future leaders, in the future’s greatest industry, are coming to Constitution Hall (1776 D St. NW, Washington, D.C. 20006) from July 16-18 to test their mettle against each other in the next great mental sport. They have worked hard to get here, some of them adjusting their designs under cover of darkness because the rain was too strong that day and the power cut out, some of them working from their homes because the only road in their village flooded and they couldn’t get to school. They have learned a lot on their way here, and they are ready to share their experience with the world. Bring the family, make signs, and above all be ready to cheer for your team of choice! Our opening ceremony is from 5:30 to 7:00 the night of July 16. Prior to that, from 4:00-5:00, the teams will be available for a meet and greet with the community, and all are welcome to speak with any teams you wish to meet. 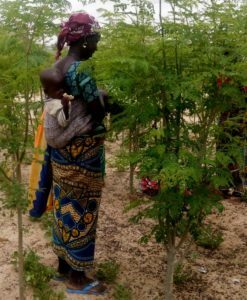 Our Moringa Garden Project is providing drought-resistant and nutrient-rich morniga to malnourished pregnant and nursing mothers and their children. 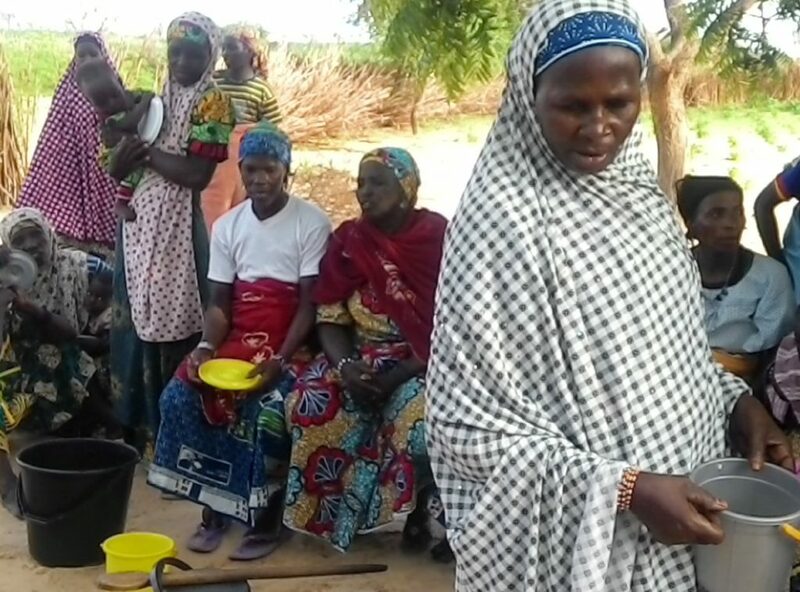 More than 3,000 have benefited from this garden project in the Nigerien village of Sakawa. The cost to create and implement this sustainable program in Sakawa? Less than $2,000. I know that, like me, you have a strong connection to Niger and its people. You know first-hand how great the need is and how few resources are at hand. For most people, Niger is just an overlooked spot on a map of Africa. It’s confused with Nigeria, lumped together with other West African countries, or simply just ignored. But, we are not most people. We have connections to the country that run deep – through our work and experiences. 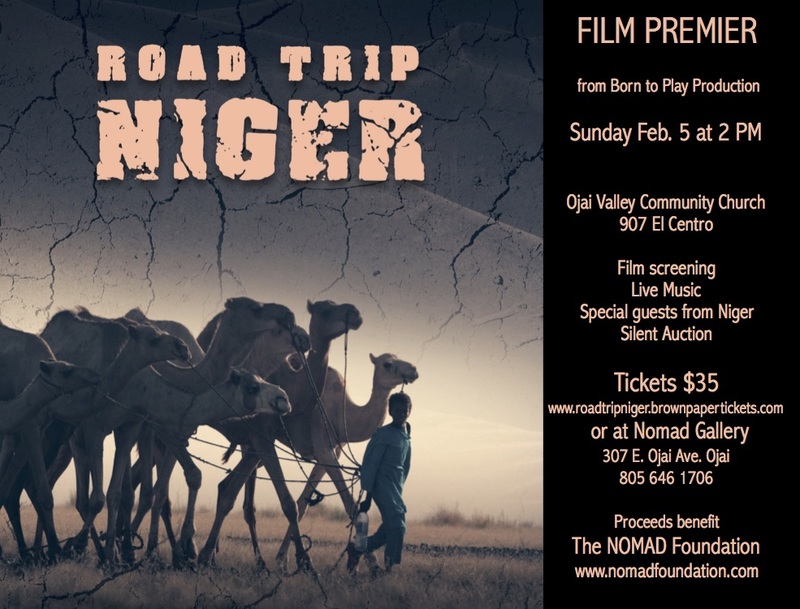 You and I, and all of us who are part of the Friends of Niger community, understand what life is like in a country that has long been one of the poorest in the world. We know the humanitarian toll this poverty takes. Friends of Niger is a powerful way for each of us to continue to support effective, life-changing humanitarian work in the country even after our time there has ended. Famine and drought. Health emergencies. Educational limitations. Niger and its people have faced these crises for decades. But, in the past year, violence pressing Niger from all sides has made the situation even more dire. ISIS, Al Qaeda in the Maghreb, and the Arawad rebellion threaten villages in the north. To the west, Malian rebels have sent a flood of refugees into Niger. To the southeast, Boko Haram have raped, pillaged, and plundered their way into the country, kidnapping young girls and killing villagers who get in their way. Each of these groups has made violent incursions into Niger in the past year. Our health, education, economic development, and humanitarian projects are more important than they’ve ever been. You can help ensure these programs reach the people who need them most. Please help with a generous contribution to Friends of Niger today. Over the past 30 years we have accomplished so much to help improve the health, security, and lives of thousands of Nigeriens in villages throughout the country. But, for every village that one of our programs reaches, we know there are hundreds of others that need us. 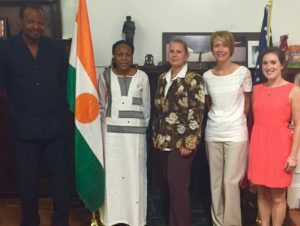 Friends of Niger has created unique relationships that allow us to work directly with Nigerien NGOs as we help implement effective and sustainable programs. In the business world this would be called “cutting out the middle man.” By working directly with the Nigeriens who will carry out these projects, we are able to build successful, cost-effective programs that can be replicated and expanded into hundreds of other villages. The only thing that slows us down is the cost of expanding our programs. Simply put, Friends of Niger doesn’t have the financial capacity to grow all the projects that are urgently needed. Let me tell you about just one of them … the Moringa Garden Project. Moringa, you probably know, is a drought-resistant plant that provides a powerful range of vitamins, minerals, and nutrients – from vitamins A, B, and C, to protein and iron. 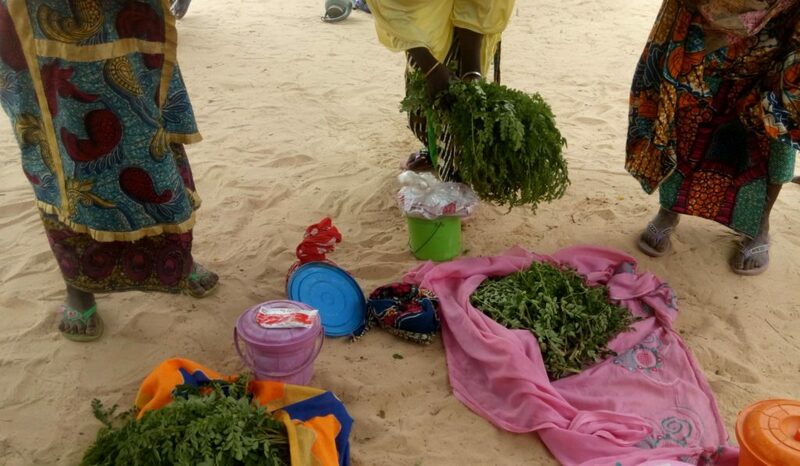 This plant, easily grown in West Africa, provides a way to curb the epidemic of malnutrition among Nigerien children and pregnant and nursing mothers. 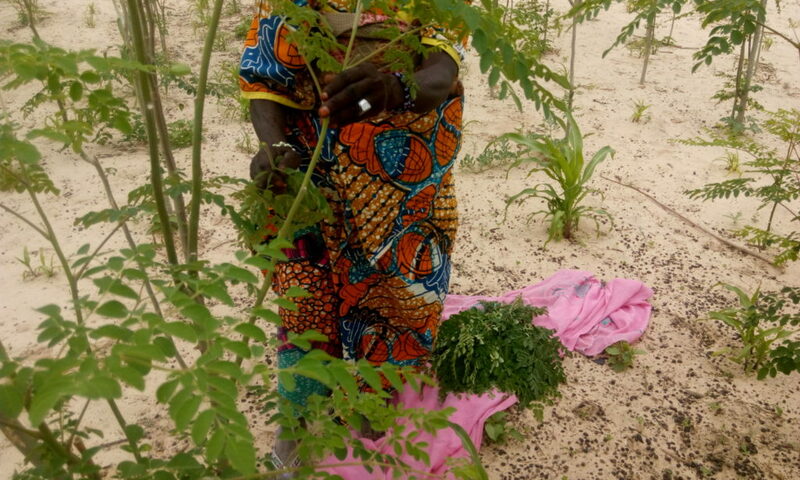 With guidance from CONUSA (Conseil des Nigeriens aux USA), Friends of Niger reached out to health officers in the village of Sakawa and helped them establish a community moringa garden program. It’s a simple project and one that cost us less than $2,000 to establish. But, that modest investment has helped provide necessary nutrients to more than 2,300 young women and nearly 600 infants in the past year and will continue to sustain itself into the future. But, success in this one village also starkly illustrates our current limitations. 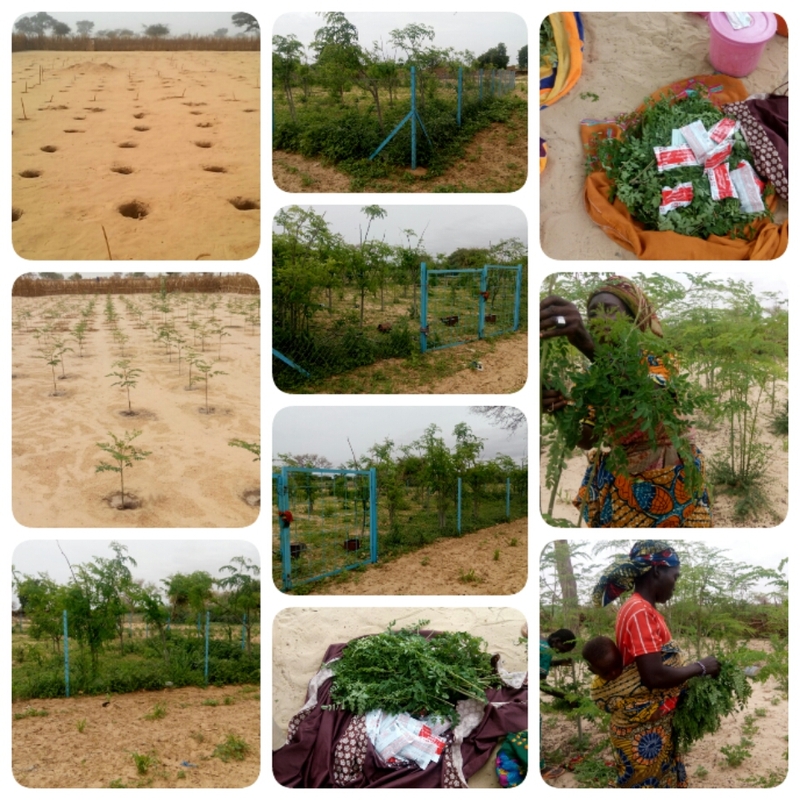 In a follow-up message just a few weeks ago, Moustapha told us he is currently working with the chiefs of five villages who already have offered small plots of land that are available for new moringa gardens. But, that’s just the start. Moustapha has identified 32 villages that need – and could sustain – our Moringa Garden Project. Five other villages are ready to roll- out the program. A total of 32 villages have been identified as perfect fits for this effective, sustainable program. To provide this program to 32 additional villages – reaching thousands more mothers, infants, and children – would cost around $64,000. I have enclosed for you some recent photos of our Moringa Project in Sakawa. It is a vital, life-saving project. It is effective and sustainable. It needs to be expanded. And, Friends of Niger is uniquely suited to help the project grow. And, that’s just one project. 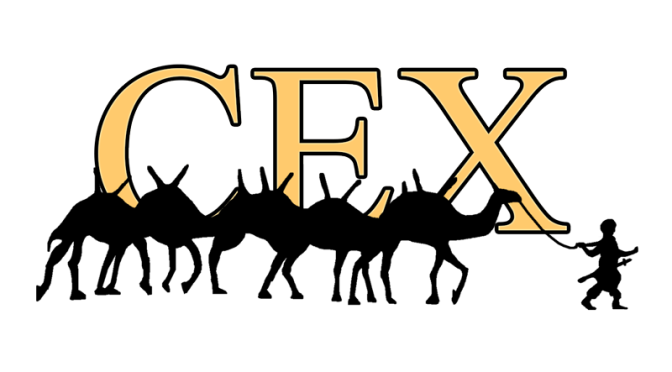 We are also currently working with Tamesna Center for Nomadic Life – a school dedicated to education of children without requiring them to settle down – to support a project focused on the care and management of a goat herd. Based out of the rural commune of Ingall, the Tamesna school boards the children of nomads who have built the dorms. While the teachers’ salaries are paid by the Nigerien government, food for the students depends on donations. This goat herd will begin to provide food for the children and lead to long-term sustainability – rare for nomadic schools. If we have the funds we need. If we have the support of friends like you who understand, more than anyone, why this work in Niger is so urgent and so important. If we can act now. 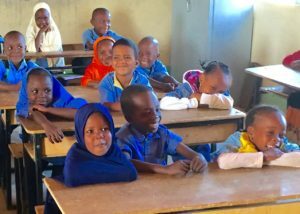 In 1978, as a new Peace Corps volunteer, I was sent to Niger and spent the next two years in Zinder working in a girls’ school, teaching English, and coaching sports. When I left the country in 1980, I knew that I would never – could never – leave it and its people behind. It had become too important to me. We come from different experiences in Niger – different times, different regions or villages, different projects. But, we come together as one in our dedication to the resiliency and strength of Niger and its people. 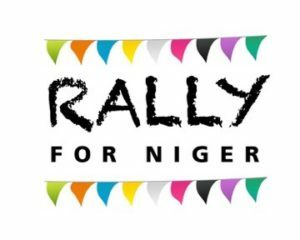 We come together through Friends of Niger so that we may still be a presence. So we may continue to help make a difference. I was honored to be asked to become the President of Friends of Niger this year. Our board is a vibrant one and includes former Peace Corps Volunteers, those who lived in Niger with the Boston University program, others who have visited Niger, and Nigeriens living here in the United States. Each of us is dedicated to continuing – and expanding – our work in Niger. I’m grateful that you have chosen to be part of this work as well. We have accomplished much – and will accomplish even more – together. At a time when many humanitarian efforts in the region are being slowed or curbed due to threats of violence, we have the ability to reach out to, and help, the people of Niger directly. There is much that we must do. There is much we can accomplish. Especially now. Your support of Friends of Niger makes this, and our other projects, possible. Now, help us expand these projects to Maibarewa, Attalbawa, Ginguil, Doga, Ekaba and to other Nigerien villages where the need is great. Your support makes a difference! I hope that we can count on you to join me in this urgent and life-changing work. Please help with a generous contribution today. I promise you, it will make a difference. With your support we will help not just one life, not just one town or one village, but many. Thank you so much for your help and generosity. P.S. Your tax-deductible contribution will help support the Moringa Garden Project in Sakawa, the goat herd in Ingall, and our other village-based programs that are currently underway. Plus, your contribution will also allow us to take these successful programs and roll them out to dozens – even hundreds – of other towns and villages. You may make your donation through our secure PayPal site by clicking the DONATE button.